He Thought It Was The End Of The World And Zombies Were Chasing Him!! 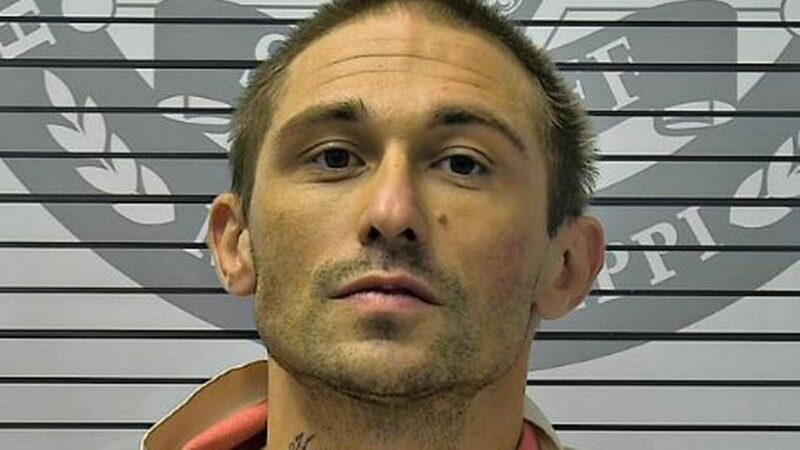 The man accused of stealing a John Deere front-end loader, then using it to ram trailers and vehicles in a Walmart parking lot, told police “he thought it was the end of the world and zombies were chasing him,” a court appearance revealed. Shaun Michael Stroud, 32, of Kiln waived a preliminary hearing in Justice Court and remains in the Harrison County jail on a $550,000 bond. A grand jury will decide whether he should be indicted and tried on one charge of grand larceny and two charges each of felony malicious mischief and aggravated assault. Stroud is accused of stealing the front-end loader in the early morning hours of April 8 from Gulf Recycling on Creosote Road. Police say he then drove it the short distance to Walmart on U.S. 49, where mayhem ensued. Stroud is accused of hitting two occupied vehicles, several utility trailers and three unoccupied vehicles. Gulfport police say they had to put down spike strips to stop Stroud in the nearby parking lot of a Nissan dealership after he fled in the front-end loader. At the police station, court records say, officers read Stroud his rights. He then told them about the zombies. County prosecutor Herman Cox said police secured a search warrant to draw blood from Stroud so they could determine whether he was under the influence of alcohol or drugs. We’re sure when this blood test comes back that this man will test positive for METH!!! We have no doubts about it!! We are only assuming that this man had meth in his system due to the fact that the last person who thought that zombies were among us was high on meth (see also link below)!!! (UPDATE 12/11/2018): This Man Is Sentenced To 15 Years In Prison For This Fuckery!!! see also:Illinois Man Was Running From Zombies When He Rammed Airport Terminal!! !